Johann Palisa discovered asteroid #243 Ida. Enrico Fermi (29 September 1901 - 28 November 1954) was an Italian-American physicist most noted for his work on beta decay, the development of the first nuclear reactor and for the development of quantum theory. Fermi won the 1938 Nobel Prize in Physics. J. Palisa discovered asteroid #718 Erida. F. Kaiser discovered asteroid #766 Moguntia. K. Reinmuth discovered asteroid #1035 Amata. G. Neujmin discovered asteroid #1075 Helina. K. Reinmuth discovered asteroid #1161 Thessalia. E. Delporte discovered asteroid #1170 Siva. H. Van Gent discovered asteroid #1694 Kaiser. Goethe Link Observatory discovered asteroid #3447. Alouette 1 was launched by the US, and Canada became the third nation to completely design and build a satellite. Alouette 1, launched 29 September 1962 on a Thrust Augmented Thor-Agena B into a 996 km x 1,032 km orbit inclined 80.5 degrees with respect to the equator and with an orbital period of 105.5 minutes, was a small ionospheric observatory instrumented with an ionospheric sounder, a VLF receiver, an energetic particle detector, and a cosmic noise experiment. Extending from the satellite shell were two dipole antennas (45.7- and 22.8-meters long, respectively) which were shared by three of the experiments on the spacecraft. The satellite was spin stabilized at about 1.4 rpm after antenna extension. After about 500 days, the spin slowed more than had been expected, to about 0.6 rpm when satellite spin stabilization failed. It is believed that the satellite gradually progressed toward a gravity gradient stabilization with the longer antenna pointing earthward. Attitude information was deduced only from a single magnetometer and temperature measurements on the upper and lower heat shields. (Attitude determination could have been in error by as much as 10 degrees.) There was no tape recorder, so data were available only from the vicinity of telemetry stations. Telemetry stations were located to provide primary data coverage near the 80 degree W meridian and in areas near Hawaii, Singapore, Australia, Europe, and Central Africa. Initially, data were recorded for about 6 hours per day. In September 1972, spacecraft operations were terminated. NASA and the USAF launched X-15A-2 Stab.,Star tracker test mission # 118 in which Robert Rushworth reached a maximum speed of 5700 kph (Mach 5.20) and achieved a maximum altitude of 29.809 km, the nose gear scoop door caused handling difficulties. USSR launched the Molniya 1-15 communications satellite from Plesetsk for operation of the long range telephone and telegraph radio communication system, and transmission of USSR Central Television programs to the stations of the Orbita network. NASA launched Orbiting Solar Observatory-7 (OSO 7) into orbit from Cape Canaveral, Florida, with the TETR 4 Apollo tracking network test satellite lofted as a secondary payload which was injected into orbit from the booster's second stage. The objectives of the OSO satellite series were to perform solar physics experiments above the atmosphere during a complete solar cycle, and to map the entire celestial sphere for the direction and intensity of UV light and X-ray and gamma radiation. The OSO 7 platform, launched 29 September 1971, consisted of a sail section, which pointed two experiments continually toward the Sun, and a wheel section, which spun about an axis perpendicular to the pointing direction of the sail and carried four experiments. Attitude adjustment was performed by gas jets and a magnetic torquing coil. A pointing control permitted the pointed experiments to scan the region of the solar disk in a 60- by 60-arc-min raster pattern. In addition, the pointed section could be commanded to select and scan any 7.5- by 5-arc-min region near the solar disk. Data were simultaneously recorded on tape and transmitted by PCM/PM telemetry. A command system provided for at least 155 ground-based commands. Only real-time data were received after May 1973 when the second tape recorder failed. The spacecraft reentered the Earth's atmosphere 9 July 1974. T. Gehrels discovered asteroid #2049 Grietje. USSR's Soyuz 12 landed 400 km SW of Karaganda, safely returning cosmonauts Vasiliy Lazarev and Oleg Makarov to the ground. Soyuz 12 was launched 27 September 1973 as an experimental flight for the purpose of further development of the manned space craft Soyuz 7K-T modifications. After the Soyuz 11 disaster, in which the crew died during re-entry when a breather valve opened prematurely and allowed the cabin air to leak away into space, the Soyuz underwent a redesign for increased reliability. Two solo test flights of the new design were planned. Crews for the first flight were those already planned for the deferred follow-on missions to the failed DOS 2 and DOS 3 space stations. During their two days in space, Commander Vasiliy Lazarev and Flight Engineer Oleg Makarov acquired spectrographic data of separate sections of the Earth, and evaluated a new space suit design, in addition to checking out the improvements made to the Soyuz craft. Soyuz 12 was recovered 29 September 1973 after it landed 400 km SW of Karaganda. USSR launched the Salyut 6 space station into orbit from Baikonur, which was occupied by six resident crews with durations up to 185 days. Salyut 6 was a second generation Soviet space station launched 29 September 1977 to conduct scientific and technical research and experiments, and for further testing of the station design, on-board systems, and equipment. With Salyut 6, the Soviet space station program evolved from short-duration to long-duration stays. It was launched unmanned, and crews arrived later in Soyuz spacecraft. It had two docking ports, which permitted refueling and resupply by automated Progress freighters derived from Soyuz. The Progress vessels docked automatically at the aft port, and were then opened and unlocked by cosmonauts on the station. Transfer of fuel to the station took place automatically under supervision from the ground. A second docking port also meant long-duration resident crews could receive visitors. Visiting crews often included cosmonaut researchers from Soviet bloc countries or countries sympathetic to the Soviet Union. Vladimir Remek of Czechoslovakia, the first space traveler not from the US or USSR, visited Salyut 6 in 1978. The station received 16 cosmonaut crews, including six long-duration crews. The longest stay time for a Salyut 6 crew was 185 days. The first long-duration crew stayed for 96 days, beating the 84 day world record for space endurance established in 1974 by the last Skylab crew. The station hosted cosmonauts from Hungary, Poland, Romania, Cuba, Mongolia, Vietnam, and East Germany. Twelve Progress freighters delivered more than 20 tons of equipment, supplies and fuel. An experimental transport logistics spacecraft called Cosmos 1267 permanently docked with Salyut 6 in 1981. The transport logistics spacecraft was originally designed for the Almaz program. Cosmos 1267 proved that large modules could dock automatically with space stations, a major step toward the multimodular Mir station and the International Space Station. Salyut 6 had six resident crews. The Soyuz 25 mission's docking attempts were unsuccessful. On 10 December 1977, the first crew, Yuri Romanenko and Georgi Grechko, arrived on Soyuz 26 and remained aboard Salyut 6 for 96 days. They performed an EVA on 20 December 1977 to examine the forward docking port, and found no damage. On 15 June 1978, Vladimir Kovalyonok and Alexander Ivanchenkov (Soyuz 29) arrived and remained on board for 140 days. They performed an EVA on 29 July 1978 to retrieve externally mounted experiments (micrometeorites, biopolymers, radiation plates, materials tests). Vladimir Lyakhov and Valeri Ryumin (Soyuz 32) arrived on 25 February 1979 and stayed 175 days. Soyuz 33 failed to dock due to a propulsion failure in April 1979. Soyuz 34 was launched unmanned to provide a replacement vehicle in June 1979. An EVA on 15 August 1979 was made to dislodge the 10 meter diameter KRT-10 radio telescope from the aft docking collar. On 9 April 1980, Leonid Popov and Valeri Ryumin (Soyuz 35) arrived for the longest stay on Salyut 6, 185 days. A repair mission, consisting of Leonid Kizim, Oleg Makarov, and Gennadiy Strekhalov (Soyuz T3) worked on the space station's temperature control hydraulics for 12 days starting on 27 November 1980. On 12 March 1981, the last crew, Vladimir Kovalyonok and Viktor Savinyikh, arrived and stayed for 75 days. The Soyuz T-4 repair mission arrived in March 1981 to fix a stuck solar array. During its occupied life, there were also 10 visiting missions to Salyut 6, carrying crews which came to bring supplies and make shorter duration visits with the resident crews. Salyut ejected a module on 31 May 1981, perhaps a previously retained Soyuz Orbital Module. Kosmos 1267 docked with Salyut 6 on 19 June 1981. The space station was commanded to perform a reentry maneuver using the Kosmos 1267 propulsion system over Pacific on 29 July 1982. Z. Vavrova discovered asteroids #2599 Veseli and #2647. L. Zhuravleva discovered asteroid #3622. USSR launched the Ekran 11 communications satellite from Baikonur to transmit Central Television programs to a network of receivers for collective use, which was positioned in geosynchronous orbit at 99 deg E 1983-1984. USSR launched the Bion 8 (Cosmos 1887) bio satellite from Plesetsk, carrying monkeys Drema and Erosha, to continue investigation of the influence of space flight on living organisms, and radiation physics research. The capsule was recovered 12 October. USSR launched the Molniya 3-33 communications satellite to operate the long range telephone and telegraph communications system, and transmit USSR Central Television programs to stations in the Orbita and cooperating international networks. NASA launched STS 26 (Discovery 7, 26th Shuttle mission) carrying the Tracking and Data Relay Satellite-3 (TDRS-C) to orbit in the return-to-flight mission following the Challenger disaster. STS 26 was launched 29 September 1988, and NASA's Space Shuttle returned to flight following the Challenger disaster. The launch was delayed one hour 38 minutes to replace fuses in the cooling system of two of the crew's new partial pressure launch/entry suits, and due to lighter than expected upper atmospheric winds. The suit repairs were successful, and the countdown continued after a waiver of the wind condition constraint. The STS 26 mission marked the resumption of Shuttle flights after the 1986 STS 51-L (Challenger) accident. The primary payload, NASA's Tracking and Data Relay Satellite-3 (TDRS-3) attached to an Inertial Upper Stage (IUS), became the second TDRS deployed. After deployment, the IUS propelled the satellite to geosynchronous orbit. Secondary payloads on STS 26 were: Physical Vapor Transport of Organic Solids (PVTOS); Protein Crystal Growth (PCG); Infrared Communications Flight Experiment (IRCFE); Aggregation of Red Blood Cells (ARC); Isoelectric Focusing Experiment (IFE); Mesoscale Lightning Experiment (MLE); Phase Partitioning Experiment (PPE); Earth-Limb Radiance Experiment (ELRAD); Automated Directional Solidification Furnace (ADSF); and two Shuttle Student Involvement Program (SSIP) experiments. The Orbiter Experiments Autonomous Supporting Instrumentation System-1 (OASIS-1) recorded a variety of environmental measurements during various inflight phases of the orbiter. A Ku-band antenna in the payload bay was deployed; however, the dish antenna command and actual telemetry did not correspond. Also, the orbiter cabin Flash Evaporator System iced up, raising the crew cabin temperature into the mid-80s (Farenheit). STS 26 ended 3 October 1988 when Discovery landed on revolution 64 on Runway 17, Edwards Air Force Base, California. Rollout distance: 7,451 feet. Rollout time: 46 seconds. Launch weight: 254,606 pounds. Landing weight: 194,184 pounds. Orbit altitude: 203 nautical miles. Orbit inclination: 28.5 degrees. Mission duration: four days, one hour, zero minutes, 11 seconds. Miles traveled: 1.7 million. The orbiter was returned to the Kennedy Space Center on 8 October 1988. The flight crew for STS 26 was: Frederick H. Hauck, Commander; Richard O. Covey, Pilot; John M. Lounge, Mission Specialist 1; George D. Nelson, Mission Specialist 2; David C. Hilmers, Mission Specialist 3. The Ulysses space probe completed its second (north) passage over one of the Sun's poles. India launched their IRS-1D landsat into orbit from Sriharikota on a PSLV booster. Asteroid #4179 Toutatis passed within four Lunar distances of Earth. Scaled Composites/Mojave Aerospace launched the Tier One SpaceShipOne Flight 16P - X-Prize Flight 1 in which SpaceShipOne coasted to a 103 km altitude and successfully completed the first of two X-Prize flights. Scaled Composites/Mojave Aerospace launched the Tier One SpaceShipOne Flight 16P - X-Prize Flight 1 on 29 September 2004, in which Mike Melvill piloted SpaceShipOne to a 103 km altitude, and successfully completed the first of two X-Prize flights. The motor was shut down when the pilot noted that his altitude predictor exceeded the required 100 km mark. The motor burn lasted 77 seconds, 1 second longer than on the 21 June flight. Melvill was prepared to burn the motor up to 89 seconds, which indicates significant additional performance remains in SS1. During the motor burn the spacecraft began to roll uncontrollably, but Melvill pressed on despite advice from the ground to shut the motor down and abort the attempt. 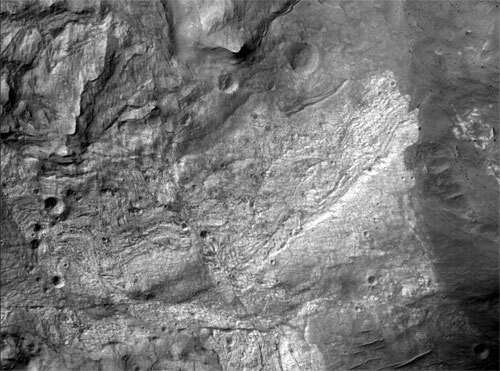 NASA's Mars Reconnaissance Orbiter took its first high resolution image from its science orbit, resolving items as small as 90 cm (3 feet) in diameter. NASA's MESSENGER made its sixth planetary flyby on its way to Mercury orbit, passing Mercury a third time at roughly 228 km altitude in its heliocentric orbit.